Alyse McConnell guides business leaders to become stronger communicators, better collaborators, and more inspiring leaders. Her passion is to help people find ways to overcome the roadblocks that limit their top performance and daily joy. She believes that businesses, not governments, will champion the big important efforts to improve quality of life for all people. Alyse started her career in leadership roles with companies like Accenture, Avenade Inc., Dimension, Books-A-Million, and ... See More Starbucks. Since becoming a Professional Certified Coach (PCC) and founder of A2 Coaching Group, Alyse has supported hundreds of leaders through 4000+ hours of coaching. Based near Seattle, Alyse teaches everyone from mid-level managers to the C-Suite in prominent local industries like IT, healthcare, defense, retail, wine, construction, and travel. Alyse’s approach is to share interpersonal warmth and imaginative spark to create partnerships that ignite change and fan success. She likes to roll up her sleeves and coach interdepartmental teams through massive strategic shifts. Her emotional intelligence is rooted in her professional experience as a trainer, corporate leader, and entrepreneur, and her personal experience as a mother, wife, and cancer survivor. Touchstones include compassion, patience, and the life lessons of Harry Potter. In her free time Alyse enjoys the company of her amazing family. 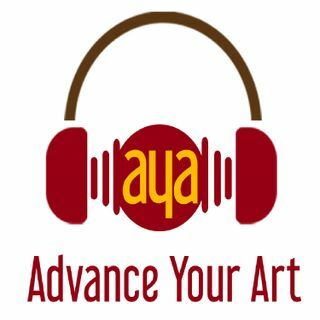 Advance Your Art listeners are invited to join the new Leadership Call to Action free monthly interactive training calls, held on the third Wednesday of every month. Like our Leadership Matters page on Facebook or subscribe to A2 updates to learn more.